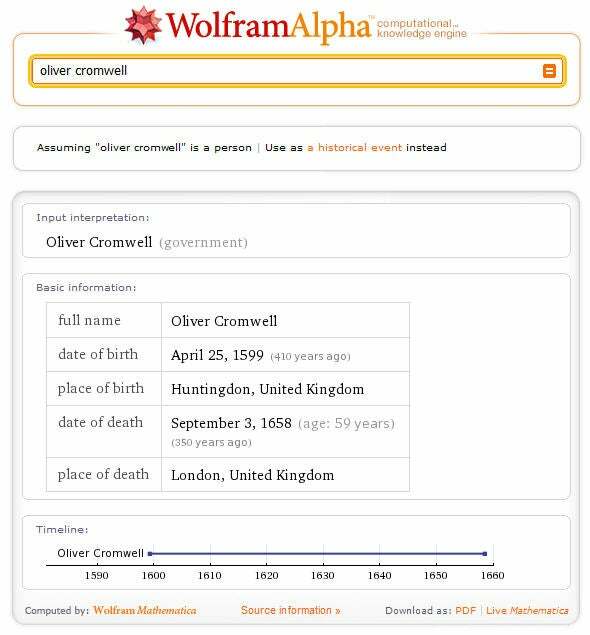 You may have heard recently about Wolfram Alpha, a new Web service that some people are projecting (mistakenly, I'm certain) as a "Google killer". 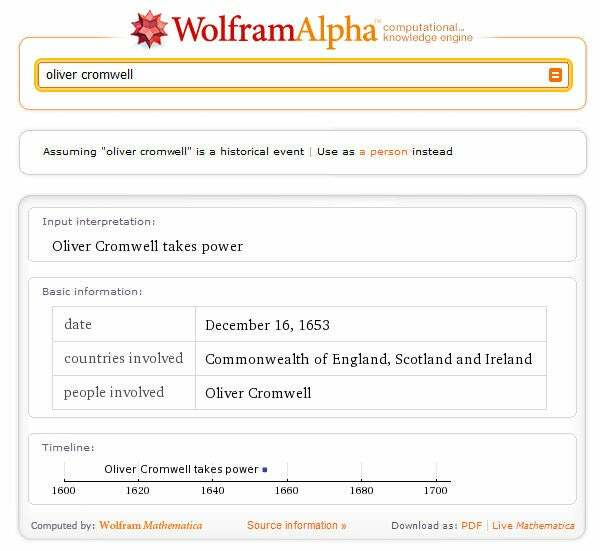 With Wolfram Alpha, you type terms into a field on a webpage and get back information about those terms. But the big brains at Wolfram research insist that it's not a search engine, it's a "computational knowledge engine." The company announced today that the service should be publicly available on May 18. 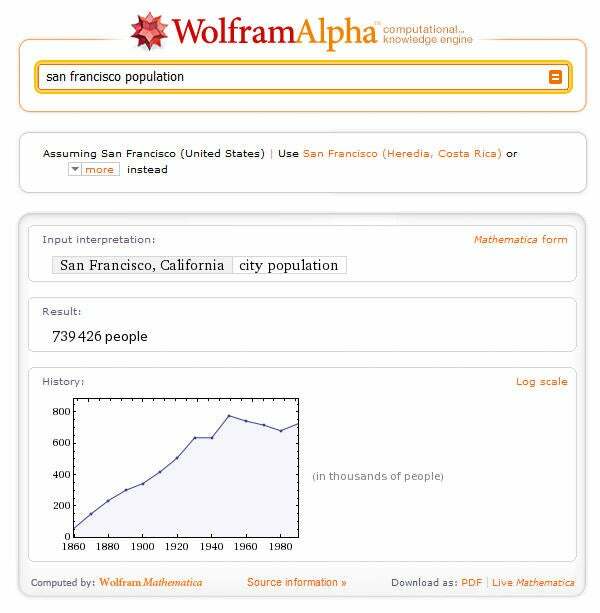 After playing with the very early version of Wolfram Alpha for a few hours, I agree that it's not your average search engine. What is it? I'm not sure I'm qualified to say: Not only did I not understand all the answers I got from Wolfram Alpha, I couldn't even comprehend some of the questions I could ask it. For instance, this sample request helpfully suggested by the designers of Wolfram Alpha -- Fit a polynomial to given data -- is something I've never even thought of asking Google to do. But who knows, someday it may come in really handy. Some of the answers are just as abstruse. 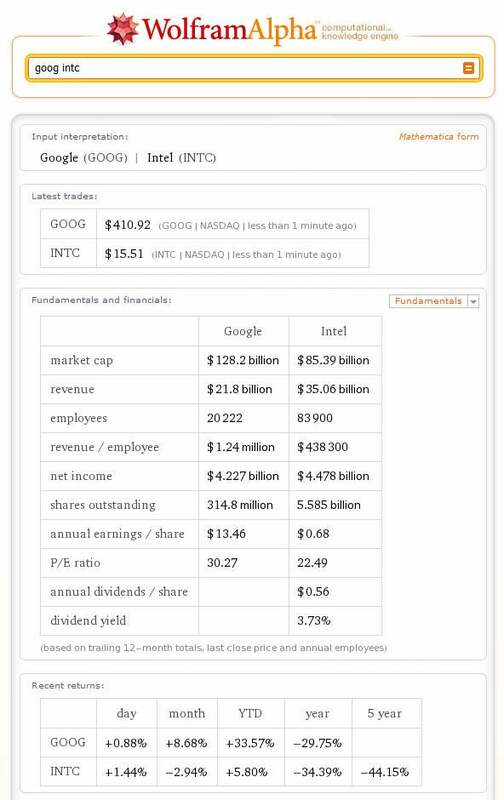 When I did a comparison of Google's stock versus the stock of Intel, WA supplied me, in addition to other data, a chart labeled "mean-variance optimal portfolio." To someone who understands finance, this is probably incredibly useful. For me, it's Greek, which is probably why I'll be eating cat food when I retire. I don't mean to criticize Wolfram Alpha though. The information it returned that I could understand was interesting and added depth and context that you often don't get from typical search engines. The service's data is incredibly limited at this point, though, which isn't surprising. The father of the project, controversial scientist Stephen Wolfram, says this isn't a finished product. So many of the queries even that the company suggests trying with WA simply don't work yet. The question is whether they ever will - from an outside perspective, it feels like the kind of project that could require immense amounts of human work. Probably the best way to understand WA is to see it in action. So here's a selection of screens from my exploration of the service.